Complete the following sentence: "On the banks of the ____________, far away." Larry Bird: the _____ from _____ _____ (if town name humorous, do not explain below). Please provide complete, grammatically correct explanations below, along with a ministerial reference, for verification. Allow 48 hours for review of your application. Thank you ever so much for your reply! We may look forward to possibly serving you! Please visit our other location, at gofundsme.com. No comments yet! I wonder why? could it be that you are damned if you do, on either side of the issue? Well, the way I see it this is another issue that has become Left vs Right that is driving us to become intolerant of the other side and are creating a Califate of the Right and a Califate of the Left. So damn both sides! when will you recognize that you are so blinded by your "faith" that you can't find your way out of a paper sack? There, I said it; and now both sides feel free let loose! I haven't the slightest idea what this article is about? Jake, can you pleeeeze esplain? I would be ever so grateful...GRACIAS! I grew up in South Bend, Indiana, which was actually great place to grow up but I would never want live there, mostly because of the God awful weather...Yes, some people were prejudiced, and there was very little blending of cultures & races with distinct neighborhoods, but overall people were kind,pleasant, & cared about their community. Church attendance was very high, with actually more Catholics than Protestants, Baptists, or Jews, & people, and neighbors were quick to help out during blizzards( which occurred alot) & tragedies... Everyone knew their neighbors, unlike California where many people just drive into their garages & don't even know their neighbors names. Personally, I don't think the intent of the recent law was to discriminate against gays, but rather was to protect right of freedom of religion...Obviously, law was problematic, and the Governor quickly moved to alter it. Indiana is not a bad state, with a lot of very good, caring people. Nice article i like it when come mine birthday i will definitely order for you its nice informative i have noted. Am: I'm interested in any evidence you have that "the intent of the recent law was [not] to discriminate against gays, but rather was to protect right of freedom of religion." The history, timing, substance, and supporters of that law suggest otherwise. History: as described here a year ago, the original federal RFRA passed 23 years ago was indeed a shield. It, however, referred only to Government actions -- reinstating by statute the 'compelling state interest' test that the Supremes had abandoned the previous term, in cases where Government action infringed a religious practice (the case was drug laws vs. peyote rituals). So, more than two decades later, Hoosiers suddenly need similar protection? Timing: this bill came hot on the heels of IN's gay marriage ban being overturned, and all the media attention to Christian bakers. Coincidence? Substance: Crucially, the recent spate of proposed state laws go way beyond the federal shield: they extend that right to disputes between PRIVATE individuals -- converting it into a sword that can be used as a license to discriminate against people you don't like. (wouldn't work in our fair state, as sexual orientation is included in our anti-discrimination law -- not so in IN). 'For the socially conservative organizations that proposed the measure, protecting the right of Christians to opt out of any involvement in gay marriage ceremonies was a primary goal. And they underscored that fact two weeks ago, immediately after Pence (R) signed the measure into law. 'VICTORY AT THE STATEHOUSE!' proclaimed a news release from Advance America, a conservative group whose leader, Eric Miller, was invited to join Pence at a private signing ceremony at the statehouse. ?Christian bakers, florists and photographers should not be punished for refusing to participate in a homosexual marriage!?
" ... and the Governor quickly moved to alter it." How far ARE you willing to distort this record to avoid cognitive dissonance?? Indiana and four other states Only moved to scuttle their original bills AFter public outcry, when the true impact of those hateful bills became known. Sheesh. "Indiana is not a bad state, with a lot of very good, caring people." I agree -- and the Good, Caring People of IN recognized this travesty for what it was, and demanded that it be 'fixed.' Good for them. I will answer some of the challenges you proposed to American. This is a contest between different laws and different freedoms. I would have preferred to see the Indiana law go to the Supreme Court rather than have the Governor back down so easily. It's not because I support gay marriage or pizza, but because I support the First Amendment. The First Amendment, which I have been writing a lot about lately, ensures citizens the freedom to practice their religion as each individual CHOOSES. "Congress shall make no law respecting an establishment of religion, or prohibiting the free exercise thereof;" Individuals whose religion considers gay marriage an "abomination" should not be forced to participate in one by an anti-discrimination law made by Congress! That to me is a clear violation of the First Amendment. States can pass laws to allow gays to marry but the state should not be required to serve the pizza! If the engaged couple wants pizza, they can go to another pizzeria or buy frozen pizzas at the supermarket and nuke them. I've never heard of a checker at the supermarket refusing to sell frozen pizzas for a gay wedding. @Roz: "Individuals whose religion considers gay marriage an "abomination" should not be forced to participate in one by an anti-discrimination law made by Congress! That to me is a clear violation of the First Amendment." You're really opening a can of worms there. So is catering pizzas to a gay wedding "forced participation"? How about merely selling some takeout pizzas to someone who they know is taking the pizzas to a gay wedding? Should the pizza shop owners be allowed to refuse to do that, too, because that would be "forced participation"? You know, there are also people who believe on religious grounds that race-mixing is an abomination against their religious beliefs. Should such store owners be allowed to refuse service to a mixed-race wedding, or to even refuse to serve a mixed-race family at their pizzeria? Finally, as for your directing your hypothetical gay couple to a supermarket to pick up frozen pizzas as a solution, did it occur to you that all that you said about "forced participation" also applies to the supermarket checker, and that he or she could also refuse to sell pizzas or anything else to the gay couple based on his or her religious beliefs? You seem to realize that you opened a trap door for yourself which you then tried to downplay by inserting the part about your never hearing of "a checker at the supermarket refusing to sell frozen pizzas for a gay wedding", but I don't think that you gave this the thought that it deserves. After all, if the supermarket checker sees that the gay couple was turned away by the pizzeria, why shouldn't he or she think "Hey! Actually, I'm not really in favor of gay marriage, either. I think that I'll invoke my religious rights, too." Like I said, Roz, you've opened a big can of worms. I'm not endorsing the beliefs of those who oppose gay marriage, or anything else for religious reasons, but their rights should be protected under the First Amendment. I personally am not religious, but those who are, are entitled to "the free exercise" of practicing it. Just because one group does not want to participate or support a behavior their religion condemns doesn't prevent the individuals looking for this service from obtaining it somewhere else. Roz has stated what's called the 'absolutist' view of the First Amendment -- that "Congress shall pass no law..." means 'no,' that Any government action infringing Any of the 1A rights would be unconstitutional. The trouble is that First Amendment Rights keep colliding with other rights and interests of members of US society, such that EVery right stated in 1A is limited in some way (even government censorship of political speech -- the most bedrock foundation of freedom -- is allowed in very limited circumstances). So, the Supremes have always decided that it's more complicated than that. Damon brought up one example -- substitute black -- or Japanese, senior citizen, disabled, Hindu or Jewish for "gay" wedding cake customer and perhaps the conflict becomes clearer. Or, Roz, should a sect of live-kitten roasters be shielded from animal cruelty charges if their religion calls for it? What if I fervently worship in the Church of No Taxes? The country has also committed itself to other values, like non-discrimination against folks with certain characteristics, in the conduct of business. So, the Court fashioned a test of government actions that infringe on religious free exercise -- for most of the 20th century, the government would have to show that a "compelling state interest" justified (over-balanced) the limit on religion. Then, in the early 1990s, an Oregon man was fired from a state job for violating the state's drug laws by ingesting peyote as part of a religious ritual. Conflict: drug law vs. religious freedom. For religion-neutral laws of general application (not aimed at any particular religion), the Court majority essentially downgraded the test from the high standard of compelling-state-interest, to a lower standard of justification. Per Justice Scalia: "To permit this [exemption] would be to make the professed doctrines of religious belief superior to the law of the land, and in effect to permit every citizen to become a law unto himself." In response, Congress jumped in and passed the original RFRA, to reimpose the compelling-state-interest standard (And a 'least restrictive method' test) for cases involving the federal government's actions. The Supremes upheld it, but said it does not apply to the states' laws or actions. Thus, various states have passed their own versions -- that were originally limited to shields against government actions (only). IN's new law was a breed apart -- intended to extend and distort the religious freedom argument to the private sector, as I indicated in response to Am. Frankly, there was a pretty good argument that the IN law was unnecessary to serve its despicable purpose, as neither federal law nor state law there includes LGBTQs among the groups that are protected from discrimination in employment, housing, business, etc. So, I think they made a blunder in beating their chests about this, because the backlash and "fix" made it clear that they now canNot use religion to justify discrimination in that context. Ironic, to be sure, but happily so for gay folks in IN. Oddly, in IN you can still fire somebody just for being gay -- you needn't even use a religious justification. Still, it's a small bend in the arc of history. Note that CA DOES include LGBTQ status among the protected characteristics in our anti-discrimination laws. Anyway, Roz, you may be glad to know that one Supreme, Justice Hugo Black, agreed with you. 1A cases were easy for him. He just always dissented when a compelling state interest was found to justify a government law or action. Tom's argument and explanation makes the most sense to me. I don't like the idea of depriving any American citizen of their right to be treated respectfully and equally under the law. It was reassuring the the governor of Indiana was forced to answer tough questions publicly and forced to review how discrimination was being written into law under the guise of religious freedom. How can the USA remain the great country that it is if such insensitive and discriminatory laws exist? It was cool to see the guv eat crow. There's a proposal in CA to allow the murder of LBGT Americans. A woman in my dinner party group who is lesbian. It hasn't helped her feel safe and welcome in CA...strange world. @Roz: "I'm not endorsing the beliefs of those who oppose gay marriage, or anything else for religious reasons, but their rights should be protected under the First Amendment. I personally am not religious, but those who are, are entitled to "the free exercise" of practicing it. " You didn't answer any of my questions about hypothetical situations, but from your response above I have to infer that your answer to all of the questions I posed is "yes". Thanks for the summary, Tom. I didn't know all about the historical context of this Indiana "religious freedom" law, but your explanation makes things much clearer. What is RFRA? I assume from your context, and the RF part at least, it is Religious Freedom? Please spell it out for me. Thanks for the other explanations. The Exchange Club meeting where I didn't bring my hearing aids covered a lot of legal actions based on 1A. I've been trying to get a link to the video so I can know what the experts were telling the students about it. So far Donna Kerger has not returned my phone calls. BTW the Deadline for the Exchange Club Essay Contest is this Friday at 3:30 pm! Get those entries in, kids. Tom's reply to my comments might make a good topic. Hi Roz: it's Religious Freedom Restoration Act. I covered it in more detail in one of last year's missives, leading up to the Hobby Lobby Supreme Court case, but dealing with Arizona's bill that even Gov. Brewer had the good sense to veto (and it didn't go as far as Indiana's in terms of arming the righteous to do battle in the culture wars). I purchased a J. Higby's Yogurt Franchise in the early 1990's. It never occurred to me that I might turn away anyone's business because of whom they were or what they represented. I openly and greatly appreciated everyone that came through my door and enjoyed my yogurt. I like it when the Weekly deletes the TROLL commentary. Thanks for the link. I watched the video and the Muslim baker in the video refused to bake the cake. But the point raised by Steven Crowder isn't a religious one; it is the right of a business not to engage in certain kinds of transactions. I wondered about that too. So is this discrimination against beachcombers and nudists? Oh, and Damon, I reread your list of questions and my answer to most of these is "No." I would go into greater detail why your list is silly but I don't want to take up anymore space in this discussion outside of the actual legal issues involved. @Roz: "Oh, and Damon, I reread your list of questions and my answer to most of these is "No." I would go into greater detail why your list is silly but I don't want to take up anymore space in this discussion outside of the actual legal issues involved. " Well, actually Roz, to be totally accurate you didn't go into any detail or provide any explanation as to why you think my list was silly. You simply said that you thought that it was silly. Legal issues don't exist in a vacuum. If they become law, they have real-world consequences. The hypothetical examples I gave are just a few of them. Tom: The problem I have with your analysis is the same problem I have with liberals when it comes to any issues dealing with religious freedoms: They are to quick to minimize the importance our founding fathers placed on freedom of religion & hence constitutional protection of said religious freedoms, while bending over to support any groups interest who opposes the religion freedoms. The " what if hypotheticals" are used as a sword to squash the constitutional right of freedom of religion. Besides Catholics, there are also a lot of Amish in Indiana, & their rights would be trampled if forced to go against their religious tenets in baking wedding cakes for gay marriages. Sure, in your " what if hypotheticals" there may be some people who falsely claim a religious reason for not wanting to do business with gays, and that is reprehensible. I certainly do not condone discrimination against gays, just like I am sure you don't condone discrimination against those due to their religious beliefs. But I think you are to quick on the gun to toss constitutional rights of freedom of religion out the door, like most liberals who quite frankly do not consider religion of any importance to them personally. Let's try to be more like Atticus Finch & " walk in their shoes" on this issue. 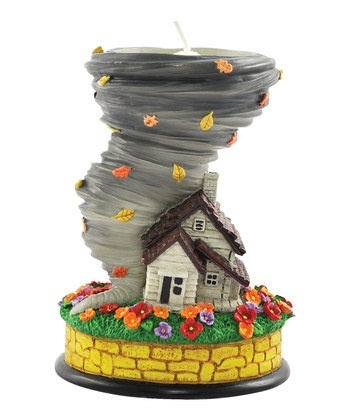 Yes, the gay couple would feel horrible if the Amish baker in Anderson, Indiana tells them his religion forbids him from making their wedding cake, and I have empathy for them but they still could find hundreds of other bakers without any religious issues to make their cake. However if the state mandates the Amish baker make their wedding cake, his constitutional right of freedom of religion is violated. The framers of our constituon intent to protect freedom of religion is destroyed. The issue should not be whether you are religious, or gay, but rather what what the intent of our framers of the constituon in the First Amendment. Thus, I do not think the intent was to discriminate against gays, but rather to support freedom of religion. Yes, some " splinter, right wing extremist" may have claimed victory when the law was initially passed, but that does not mean the state legislators and Governor supported it for evil purposes. In summary, I would just hope that liberals give freedom of religion it's duly noted significance as intended by our founding fathers before they quickly toss it aside to support each and every group who are at odds with religion. I received a phone call from Donna Kerger an hour ago and she is bringing over the CD with the video of the Exchange Club meeting on the Supreme Court's decisions on First Amendment cases tomorrow. I shall try to put it online with a link here. It may not answer all of the questions here, but it should be interesting to see how the Supreme Court interpreted the First Amendment over the years. Am: thanks for your thoughtful perspective. I would question several elements: the generalization of liberals as irreligious, the piety of the Founders, and whether it's the Court's job to perpetuate all aspects of late 18th-century jurisprudence. But beyond that, I think you have identified the core collision of rights that is involved here: how does society resolve the conflict between certain core religious beliefs and its anti-discrimination values? I think it's fair to say that you would place the burden of that conflict on the minority -- after all, they can go to other bakers. But doesn't that harken back to the 1950s plight of African Americans -- not in the legalized apartheid of the Jim Crow south, but in the de facto segregation of the north? "The deed says you can't buy This house, but there are other houses." "You can't be hired here, but there are other jobs." Where a burden is inevitable, I'd put it on the believer/discriminator, for a few reasons. First, the baker does not adopt the perceived sin of the celebrants. S/he bakes a cake, and sells it for a profit. I really fail to see how this is the exercise of religion, or how it makes the baker complicit in anything that happens later. S/he hasn't married anybody, or engaged in any other behaviors that receive waaay too much emphasis in this debate. Second, when you go into public business, you make an implicit deal with the society to serve all comers. You may hold any religious belief you want, in your private life. But your business life is public, and subject to a whole spectrum of rules that may conflict with your private values. The phrase "it's just business" was never truer. Third, I value the burden balance differently for you. I think the burden of baking that cake for someone you disagree with can be far less onerous than to bear the burden of repeated rejection because of who you are. Fourth, religion is the one factor among All the characteristics protected against discrimination that really is a choice, albeit a core value. I think that's why anti-gay folks cling to the nonsense that homosexuality is a "lifestyle choice" -- at least then they'd be on equal footing. Law doesn't generally protect folks against the consequences of their choices, so I'm comfortable giving primacy to the status factors. I know the dissonance created by the examples in my previous post is uncomfortable -- it should be, because I think they apply here. I have no doubt that many good people have found scriptural comfort and support in their discriminatory beliefs in those kinds of situations, and some still do. But I don't think the law, or the victims, should be made to accommodate those beliefs -- they have done so long enough. SSM is not a gift newly bestowed -- it's a right that always should have been there, and is hard-won. That's the mile-in-their-shoes factor that resonates with me. I'm pretty comfortable with how the Court deals with this issue, via balancing. I'd also note that Justice Scalia, like you an Originalist, Roman Catholic and the 'least liberal' member of the Court, wrote the opinion that downgraded the required weight of the public interest involved in such cases. Tom: "Religion is a choice" so you think it is less constitutionally protected? "A Choice"...You make it sound trivial, like choosing whether to order a Miller or a Budweiser. I think a lot of people in the U.S.(outside the liberal, non-regularly attending church services of the Bay Area)would strongly disagree with you on religion is "just a choice". Many of us who grew up in the Midwest earliest memories involved going to church, church related activities, and as the saying goes "from the womb to the tomb" was central to our life. It is not "just a choice" like whether to go to Burger King or McDonalds, it is fundamentally who we are, and what we stand for, and central to our being. For those who did not grow up in similar circumstances, this probably sounds very foreign to you, and you can not understand why religion and religious freedom is so important to us. But the great thing about our country is the framers intent on freedom of religion, and supporting our constitutional rights, even if we are in the minority in the Bay Area. The concern is that those who do not place any value on religion will try to rip away our rights, by downplaying the adverse consequences on those whose religious beliefs are trampled by government action and judicial rulings. 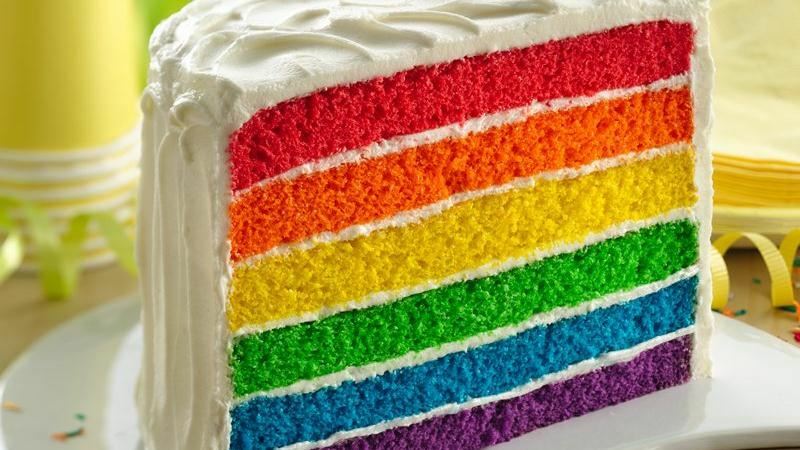 Nobody expects you to fully understand how an Amish baker might feel if being forces to bake a wedding cake for a gay marriage, but we do expect you and others to not downplay or diminish the affects on others that we can not relate to. There is also the domino theory at risk. 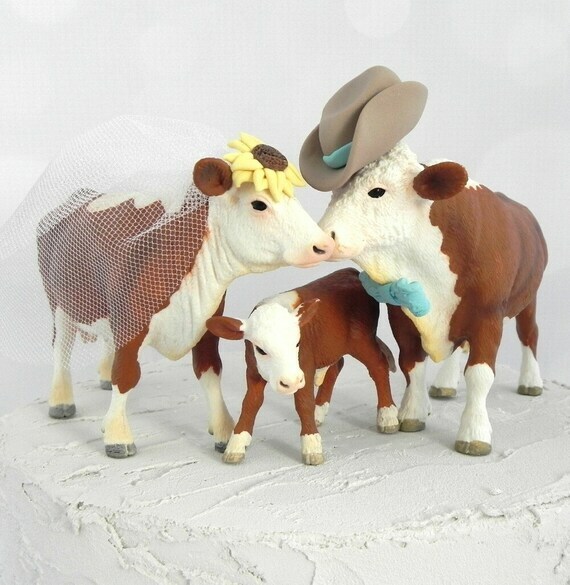 First, you order the Amish baker to make the wedding cake for the gay marriage. Next, you charge the Eucharist Minister at mass with criminal charges for proving sacred wine during mass to a 17 year old. Again, not placing value on religion, or not having empathy for those whose religious beliefs are at risk by government action, is a very dangerous precedent, as it gets easier and easier to infringe on religious practices when at odds with any other group. Fortunately, thanks to our founding fathers, we have a constitution, with built in protections, as long as the liberals do not wipe out our freedoms. You didn't answer my question about a business' right to refuse service. You said, "Second, when you go into public business, you make an implicit deal with the society to serve all comers." How about "We reserve the right to refuse service to anyone." A business cannot refuse service on the basis of race but they can choose whom to serve and whom not to as long as it isn't all of one group, except nudists. I guess being a nudist is a choice. Religion may not be a choice. My parents took me to the church and baptized me, I was three days old. Religion isn't a choice for children, but it is a choice for adults. By the way, I'd be in favor of modifying the first amendment to take out the phrase "or prohibiting the free exercise thereof". I don't think we need to make any special exceptions to our laws because someone's illegal practice is "religious". Think snake handling, for instance, or teaching creationism in public schools. The video of the presentation on the First Amendment for The Exchange Club of the San Ramon Valley Essay Contest is now posted on Youtube. It runs about an hour. You can watch it by clicking on the link here. Roz: having a bit of trouble with the link, but as to those "we reserve the right to refuse" signs in general, you can't reserve a right that is not yours in the first place. Thus, if a merchant discriminated based on some characteristic that is protected by law -- federal (race, color, gender, religion, national origin, disability among them) or the specific state (most states have their own civil rights statutes for many reasons, including that federal law does not reach very small businesses. Their coverage varies), that sign will not insulate him/her from liability. Now, if service is refused to a person, say, a woman, based on some other reason (e.g., behavioral -- drunk/disorderly), then the merchant is within rights to protect its goodwill value by excluding disruptive customers. In an investigation or lawsuit claiming discrimination, that's what is called a 'fact Q' -- what was the Real Reason? If other women Are being served, that's in favor of the merchant. If they're all excluded regardless of other issues, not so much. The "no shirt, no shoes" signs may both have some origins in state/local health codes, esp. for restaurants, and shirtless/barefoot are not among the protected characteristics in any locale of which I'm aware. Back home in Indiana, there is a mini-civil rights act, but it does not extend protection to LGBTQs -- and neither does federal law. I understand that Indianapolis does include those characteristics by local ordinance. So, there's this crazy quilt of conflicting legislation across the country while the nation sorts out its values. The so-called ENDA bill in Congress is a hardy perennial, that had the votes to pass in the last Dem-majority session, but only if transsexuals were dropped. The proponents hung together and refused the exclusion, so the bill stalled. It's a 'stay tuned' situation. Am: "just a choice" is your strawman concept, not mine -- you conveniently omit the "albeit a core value" phrase I included precisely because it's obviously Not trivial. I try to be fair in representing your points -- it does you no credit to distort mine. And it's not just me, but also a long line of Supreme Court decisions that give free exercise of religion a place in the pantheon of rights, but not a top spot. Like I (actually) wrote, I'm comfortable with that, as is Justice Scalia, with whom I rarely agree. As I also indicated, he's conservative and reportedly a "church-going" Roman Catholic. Go figure -- will you try to marginalize him, too? The "slippery slope of terribles" is a time-honored/worn, fear-based argument of any opposition to anything, that usually sounds better than it is. Basically, if/when some group comes forward in an organized way to seek recognition -- say, polygamists -- then I'm willing to consider their case on its own specific merits. I have no idea what they might be, so I'd listen. But as a practical matter, it ain't gonna happen, and we can deal with it if it does, and so it's No Reason to deny This group their proper rights, today. "Religion may not be a choice." "My parents took me to the church and baptized me, I was three days old." I say: Your parents made you eat things that you did not like. Your parents made you go to school that you did not like. Your parents made you clean your room which you did not like. Your parents made you brush your teeth which you did not like. Hey Austin, stop using religion as an argument for your point. You made yourself look foolish. @Caesar Augustus: "I say: Your parents made you eat things that you did not like. Your parents made you go to school that you did not like. Your parents made you clean your room which you did not like. Your parents made you brush your teeth which you did not like." Yes, and none of those things were choices, either. You didn't rebut Michael Austin's statement. You merely expanded on it. Thanks for the answer, Tom. Sorry the link didn't work. You certainly pushed a lot of buttons with this blog. Damon said I opened a can of worms. No, the worms were already out of the can and multiplying. I'm not sure if they can be put back into the can, or even if they should be. None of this would be a problem if Americans had the will to fix the first amendment. As written, the carve out for religious freedom doesn't make any sense. Who gets to define what is and isn't religion? Congress? If so, how is that different from Congress establishing religion? The "compelling state interest" doctrine makes no sense either. Don't all laws operate to further a "compelling state interest"? Fix the amendment. There is no need for: "... or prohibiting the free exercise thereof." Just take it out. It was a mistake to put it in the first place. Why are people so reluctant to do this? Roz: it's interesting, as I'm sure you've noticed over at The Observer. Some blog posts have broad appeal without pressing many buttons, and others involve some folks deeply, but never generate a lot of clicks. Some seem to take off and get passed around for no discernable reason, and a few just fail to launch. Go figure. Bob: it's probably just as well that the Founders made the Constitution difficult to amend. That said, retired Justice Stevens has a few ideas for some changes -- none of those involve religion, however. I may work then into a post.